This Post has already been read 357 times. 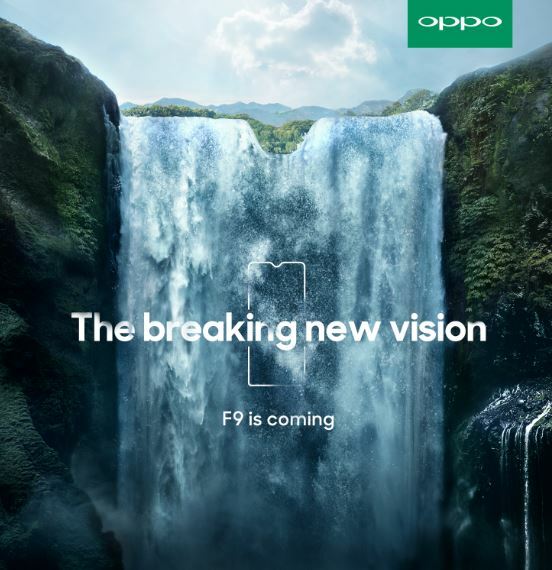 OPPO, The Selfie Expert, is soon going to launch a new addition to the popular F series – OPPO F9. It will be Industry’s First handset to sport a unique Waterdrop Screen design – A front with a top notch that hosts the receiver, camera and light sensor for more condensed space and more compact layout, thereby bringing the handset a symmetrical beauty and allowing users to view more content. Making the waterdrop screen design come alive are the enhanced rounded corners on the screen. This makes the OPPO F9 more comfortable to hold and more graceful in its appearance. The camera which is integrated with the screen has been painted black with a front coating film to highlight the integrity of the front of the handset. With 46 patents, including the industry pioneering flip-LED technology, Receiver TOP Steering Sound Conduction, Light Sensation Horn-shaped Light Conduction, Gap Approaching Design, and more, OPPO F9 has been designed to bring an immersive and amazing visual experience.